If you are looking for the best g shock under 100 dollars then the G-8900 is the one you are looking for. It offers the greatest everyday experience for the least amount of money possible. Considering that this is a version mastered and manufactured in Japan, the G-8900 is not just a performer when it comes to features but also to the overall construction. 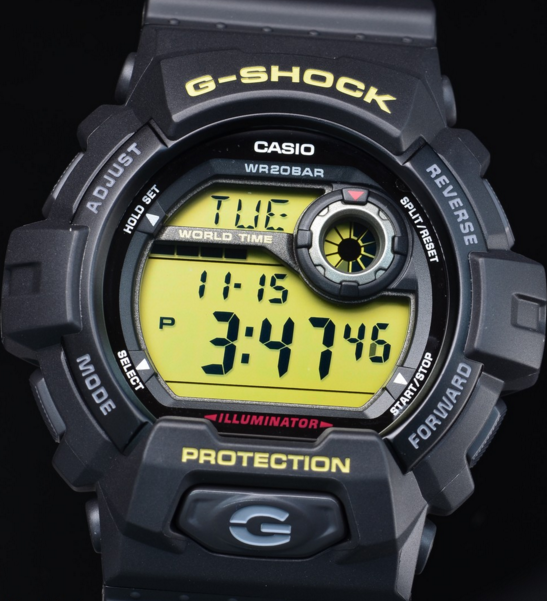 Other than that the G-Shock G-8900-1 uses good quality materials for added toughness over time. You might know that fancy watches which are not made for tough environments often get broken pretty quick after two or three falls. Well, this is not the case of the G-8900-1. In fact, it’s exactly the opposite. The watch can take a good beating without even gaining a scratch. That is why so many people love it because they don’t have to worry at any step that their watch will get wrecked. If you are not yet convinced you can take a look at our full review on the G-Shock G-8900 where we explain in greater detail every important aspect of it and posted more photos. Just click the link on its name.